Boasting a versatile open-concept design, this new home offers a generous great room, an open dining room and a comfortable covered patio with center-meet sliding doors. You'll also appreciate an inviting kitchen—featuring a center island, granite countertops, stainless-steel appliances and a walk-in pantry—plus four relaxing bedrooms, including a master suite with a private bath, a sophisticated 8' glass barn door and a roomy walk-in closet. 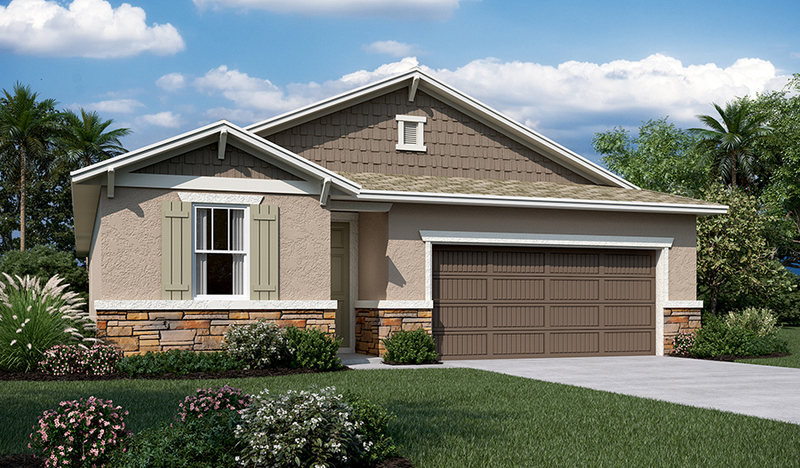 A second bath, convenient laundry room and 2-car garage complete this beautiful new home.